There is plenty to do– from touring historical sites, visiting movie sets or relaxing around your lushly landscaped hotel. You know Crete, Mykonos and even Malta, but a little-known island that is just as gorgeous, has some of the best the Mediterranean Sea has to offer—without all the crowds. 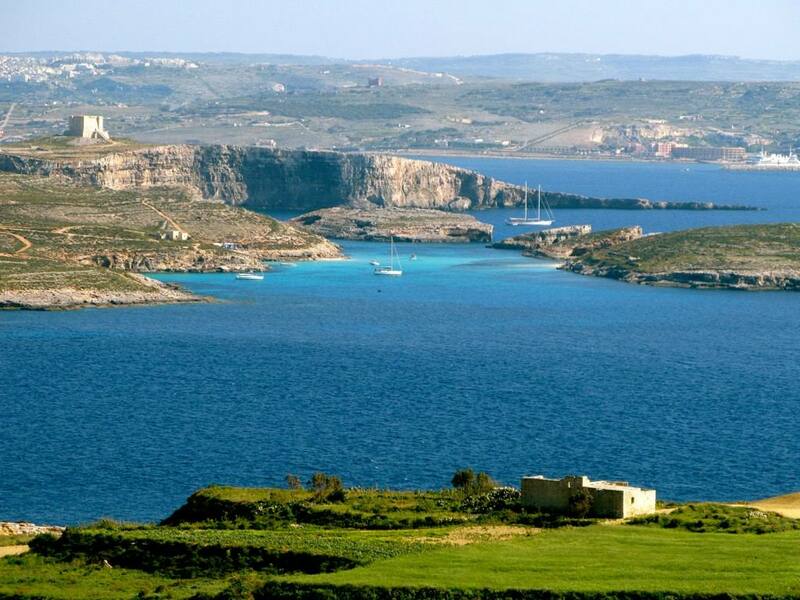 Gozo, which means “joy,” is part of the country of Malta and one of three islands, along Malta and Comino, that make up the Maltese Archipelago. Located about 50 miles from Sicily and about 120 miles north of Africa, Gozo is accessible via a 25-minute ferry ride from the shores of Malta. There are many gorgeous natural phenomenon to see on this jewel of the Mediterranean. Also called the Island of Calypso, Gozo is supposed to be a location in Homer’s “Odyssey.” The nymph Calypso is said to have kept Ulysses as a “prisoner of love” for seven years at Calypso’s Cave, a real spot overlooking the island’s beautiful beach of Ramla. Gazing downward, you can also see the ruins of a fortification built by the Knights of Malta in the mid-18th century. One of the most fantastic sites on the island is the Azure Window. Seen in “The Count of Monte Cristo,” “Clash of the Titans” and Season 1 of “Game of Thrones,” this stone structure is a naturally formed arch that creates a “window” framing the blue sky and stunning blue Mediterranean waters. Hire a local skiff to take you through the window for a view of Gozo from the water and into the Inland Sea, where a shallow saltwater pool has formed. With a history predating the ancient Egyptians, there’s no shortage of amazing artifacts and attractions to see on Gozo. The Ggantija megalithic temples are a UNESCO World Heritage site and the oldest freestanding temples in the world. They were built around 3500 B.C., making them 1000 years older than the first Egyptian pyramids. Built from limestone blocks, some weighing more than 50 tons, Gozitans once believed the temples were built by giants. Another must-do in Gozo is the Citadel located in the main city of Victoria (or as locals prefer to call it, Rabat) that dates to 1800 B.C. At 460 feet above sea level, it offers an amazing 360-degree view of the island. The Citadel, which includes structures from the Romans, Byzantines, Arabs and the Knights of St. John, today houses shops, several museums, a cathedral and old prisons. Churches fill the island and several stand apart as worth a visit. The Rotunda of St. John the Baptist is the tallest on Gozo and has the third largest unsupported dome in the world. Also of note is the beautiful Ta’ Pinu Sanctuary, built upon a spot where a villager heard the voice of the Virgin Mary. Many miracles are said to have happened to those who visited and prayed at the shrine to Our Lady of Ta’ Pinu. For well-appointed accommodations with a local feel, the Hotel Ta Cenc & Spa is a perfect choice. Located not far from the ferry landing at Mgarr Harbour, the hotel offers ocean views, verdant greenery and unusual stone-built bungalows. Situated high above a valley with fantastic island and sea views is the Cornucopia Hotel near the city of Xaghra. Family-run, it has the feel of a bed and breakfast, though offers 48 rooms and bungalows, as well as two swimming pools, sun terraces and a garden. The Kempinski Hotel San Lawrenz is perhaps the most luxurious and American in style. It offers large rooms, indoor and outdoor pools, nearly 100 square feet of garden and several restaurants featuring local ingredients. The hotel is where the cast of “Troy,” including Brad Pitt, stayed during filming on nearby Malta. Whatever you do, don’t leave the island without sampling some amazing local creations. Tops on the list should be a limoncello, pastizza (a wonderful hot, croissant-like pastry filled with cheese) and capers. You can also take home as souvenirs locally-made blown glass and lace, two speciality crafts created by Gozitans. If you can, tag on an extra day or two to visit Malta on your way to or from Gozo, and visit the ancient walled city of Mdina, the fortifications of Valletta and the naturally formed Blue Grotto. One of the favourite beaches to visit in Malta for a snorkelling session, given the clear blue water, the bright white sand, and adjacent beach club for refreshments. There is a long flight of stairs to access this bay, but once there you’ll see that it is worth the exercise. Essentially a very quiet pebbly beach in a peaceful, natural location. Only swim here when the sea is calm. On the tip of the harbour lies a reef that goes out into the sea. It is a very beautiful area to explore. Just be cautious of the occasional currents and passing boats. 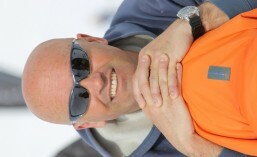 A magnificent local spot which is rather busy during the summer high season. It is a small cove below an impressive, rocky coastline frequented by a few local fishermen. Regular snorkellers recommend swimming out of the inlet and along the coast. The water is very deep here, and is excellent for an exciting snorkelling session. With plenty of out-of-the-way rocky inlets all around the bay borders, there are a few quiet spots for snorkelling a little further in from the main sandy beach. This small sheltered bay with a sandy beach boasts plenty of natural surroundings, such as rocky parts in the east of the bay. In the middle of the bay you can spot a plane wreck from the Second World War, eight metres below the surface. This natural swimming pool is a great place to admire the Maltese underwater world. The colour of the water is amazing and the views all around are simply spectacular. Here the bedrock attracts beautiful fish that inhabit the area, thus making it a great day spot for diving. Comino’s Blue Lagoon is considered to be a top snorkelling location. All around the coast, the azure waters will enable you to see some colourful fish and marine life on the rocks. In summer the Blue Lagoon can get very busy, so it is best to get there very early in the morning. 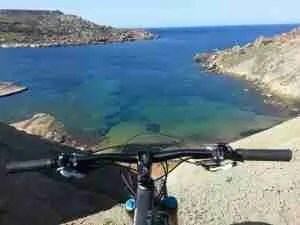 This beautiful, natural spot down a long track from Qala village is popular with snorkelers, because of its deep and clear water and small interesting caves at water level. Access to the sea is from bathing ladders. 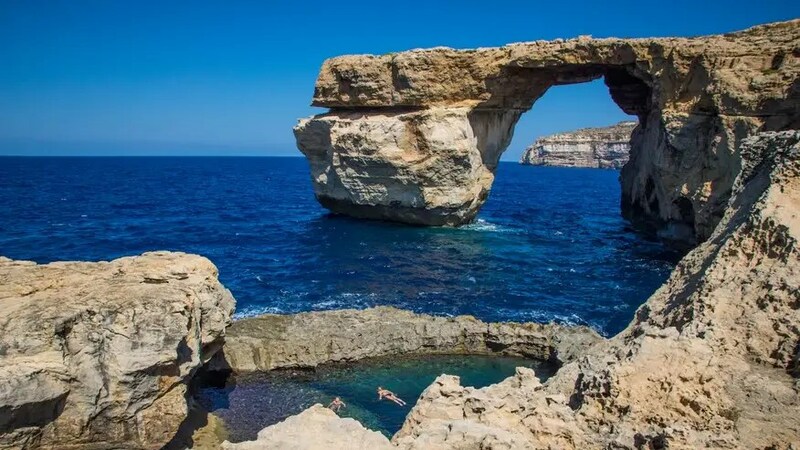 This diving site, situated next to the beautiful Azure Window, starts with an inland sea pool which leads out into the open sea via a large creek. Expect to see some great natural rock formations, and fantastic marine life such as octopus, parrot fish and coral. There are several snorkelling spots in the waters surrounding the Maltese Islands, so do explore them with your holiday snorkelling kit! Gozo is set to experience a major boom in tourism next year, thanks to Brad Pitt and Angelina Jolie. Maltese tourism industry experts say the island will benefit from ‘screen tourism’ when the Hollywood couple’s film ‘By The Sea’ is released in November. The movie, starring Brad and Angelina, was shot at several locations across Gozo, including Mgarr ix-Xini, Sannat and Gharb. It tells the story of a couple struggling to cope in an unhappy marriage and is set in the 1970s. Gozo’s unique landscape plays home to the romantic drama. Malta Tourism Authority chief executive Paul Bugeja said: ‘A movie like By the Sea, as well as the film industry in general, leaves a large positive economic impact on the Maltese Islands. Corinthia Hotel Group chairman Alfred Pisani agrees. Angelina Jolie spoke highly of her time in Malta and Gozo after she finished filming. She wrote on Facebook: ‘It has been such a fulfilling experience to shoot By The Sea in Malta, and I am honoured to have spent time on this beautiful island learning about its rich history and fascinating culture’. Last Sunday 21st June celebrates the Summer Solstice, the longest day of the year. These eight spots are just the places to head to, to get a fantastic glimpse of the setting sun!